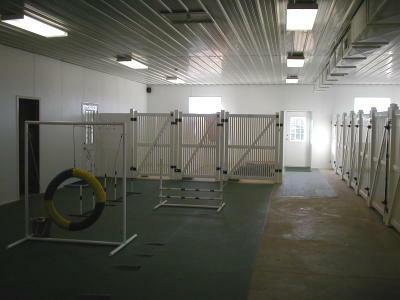 Our activity schedule provides the best in physical care and exercise, and also provides the mental stimulation and love so necessary to your dog's well-being. 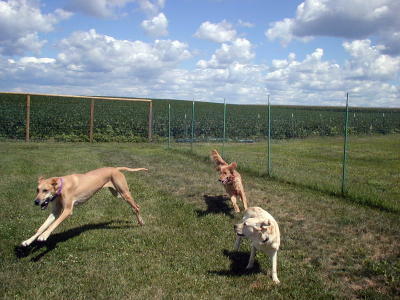 Dogs have a BLAST playing - huge outdoor and indoor play areas! 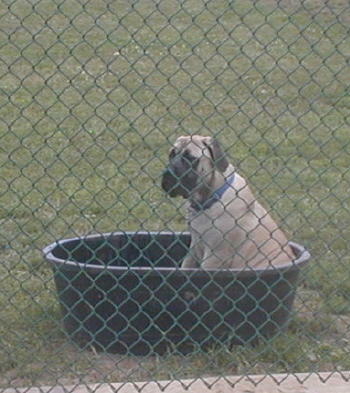 Malibu loves the tub - sure it is small on her, but she's a Mastiff!! 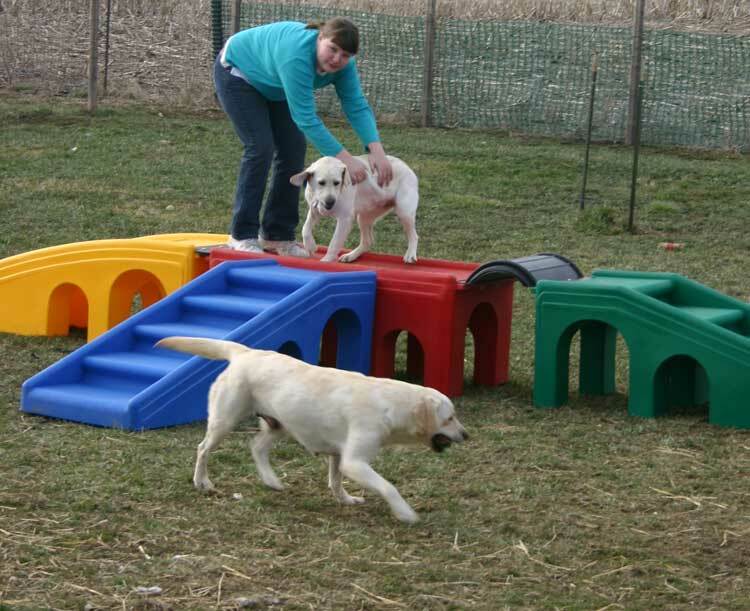 Puppy playground equipment gives dogs plenty of activities to engage them! Each guest is served the food he or she is used to eating, prepared in the manner and the amount specified by their owner. Guests spend time working individually with a staff member to learn or review commands such as sit, heel, stay and so on. Our methods use only positive reinforcement. 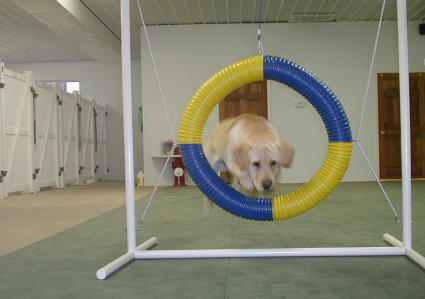 Participation is based on the dog's desire to do so. We offer four large, individual exercise areas with safety fences all around for our guests to enjoy whent he weather is pleasant. Fetching and game time is enjoyed by all. 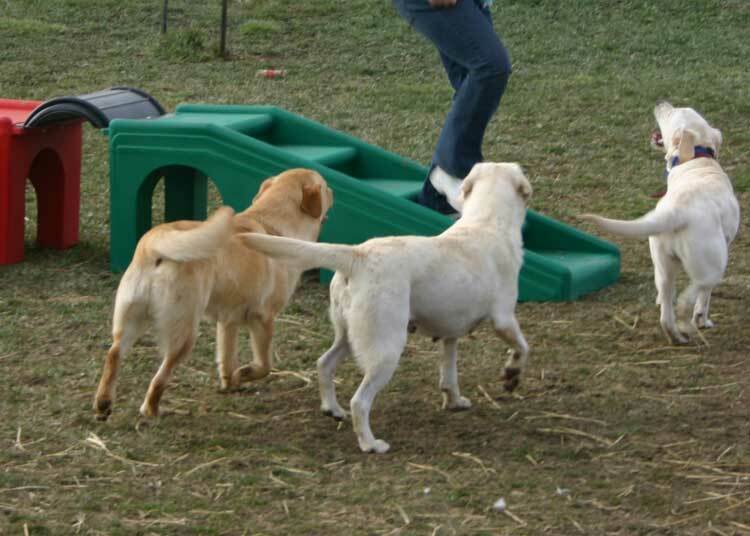 Social dogs participate in supervised group play in the the big play yard. We spend time doing fun, confidence building games! 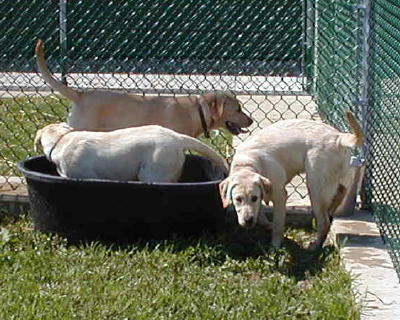 Each guest receives individual attention, a treat, petting and affection. While not all dogs eat a midday meal, some do benefit from this third meal, which we gladly serve if you have requested it. Then, from 11:30a.m. to 2:00p.m. it's soft music and lights out for a refreshing nap. If weather does not permit outdoor time, our guests enjoy playtime with a staff member on our indoor fun course. 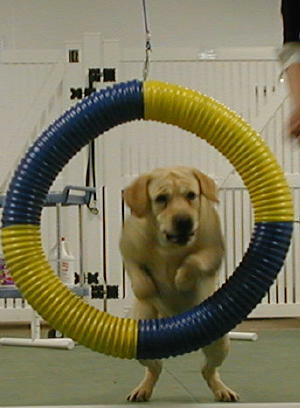 There are play obstacles, toys to chase, and fun for all. Some dogs eat only one meal a day at home; however, for health reasons we do prefer to serve their usual daily food in at least two meals. Time to get ready for bed, which includes brushing of hair and teeth (if this is part of the normal home routine) and quiet love, lap time, and affection. Having enjoyed a full day, our guests are ready for a good night's sleep on raised beds in our comfortable, climate controlled facility, which is electronically monitored for safety.